When it comes to staging kids’ rooms we typically have a lot of fun getting creative and try to make the space an exciting one (especially when it’s an actual child’s room, not just a spare room that we are making look like a kid space). 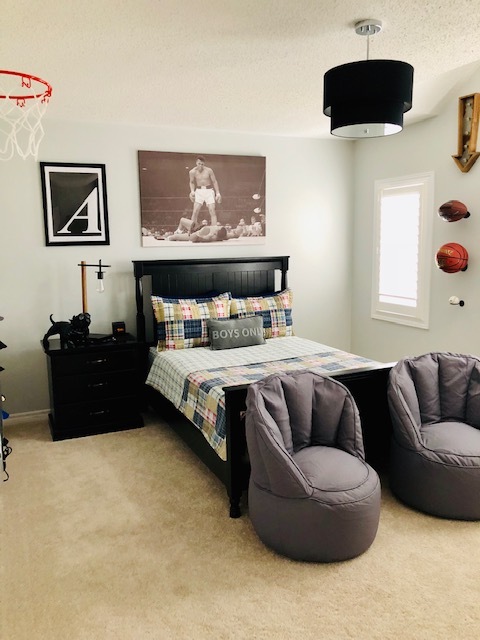 We both have 2 kids, one boy and one girl each, so we’re fortunate that we can draw on real life experience regarding how kids of both sexes would like their bedroom to be decorated. 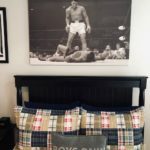 We’ve staged a ton of girls rooms from toddler to teenager, and we’ve done quite a few little boy rooms, but we had yet to tackle a teenage boys bedroom until recently. We turned to good ol’ faithful Pinterest for some inspiration for this task but we came up a bit flat. We did searches on Google, Potterybarn Teen, Wayfair, Houzz and most of the teen boy rooms that we saw were somewhat boring. 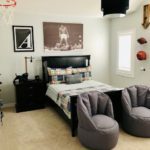 Throw a skateboard shelf in here, or a guitar propped on the wall, some basketballs piled into a basket on the floor, add some darker coloured bedding with a pillow that has a dog on it and voila teen boy room done. That was just not enough for us, it became a mission to make this space something memorable not just for the owner, but for the house as well. It’s so important to us that our homes don’t feel like a model home after we’ve staged. We stage to help potential buyers fall in love with a space, we want them to envision themselves living in that space, so all of our listings are staged to feel like home! First we changed the room colour from what was literally called “Little Boy Blue” to a more mature pale “Stonington” grey. We had the light fixture swapped with a different bedroom in the house because we needed something more impressive and we wanted to save money. 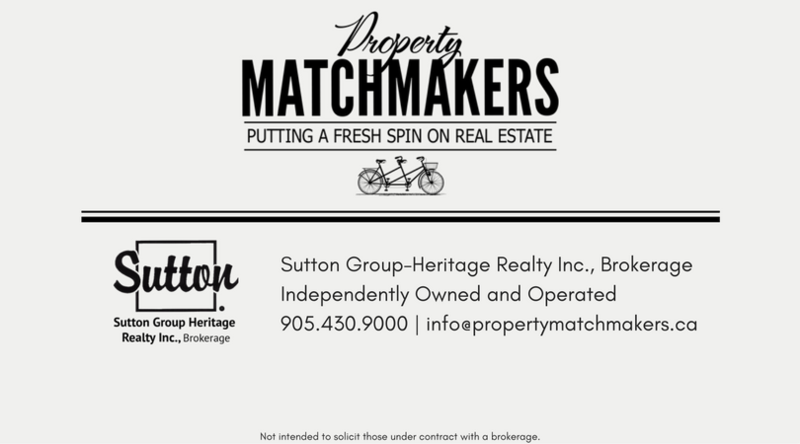 We tell people all of the time, the biggest bang for their buck when getting ready to sell is to update paint colours and light fixtures. Naturally these 2 changes brightened up the space and gave us a simpler pallet (so we weren’t limited with the colours that we brought into the room). 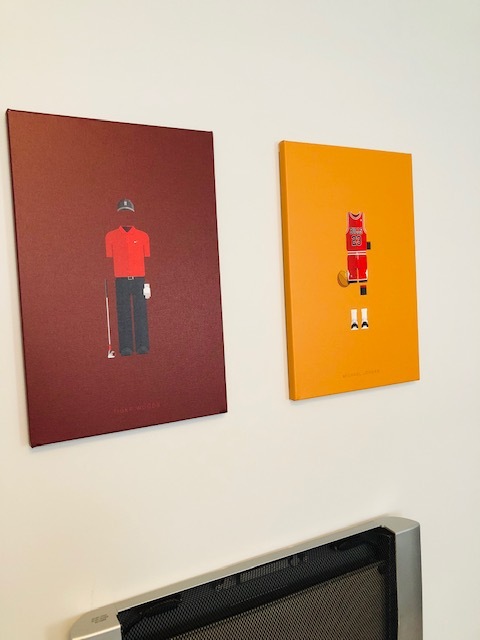 We opted to create a mature yet subtle sports themed room. 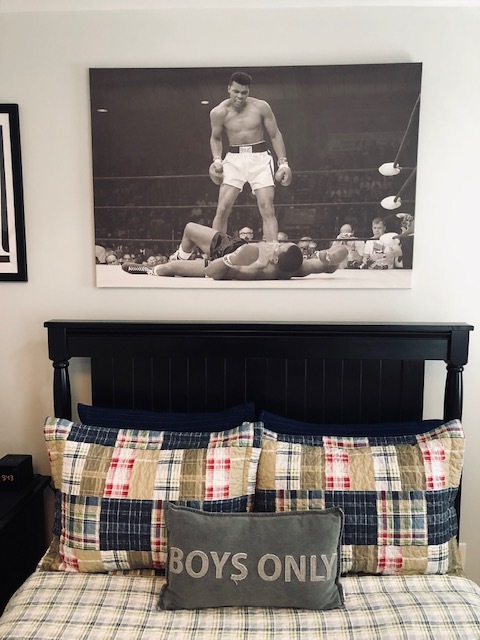 Acting as a centrepiece for our design, we chose a bold oversized canvas print that commands attention to go over the bed; an iconic Mohammed Ali vs. Sonny Liston picture. 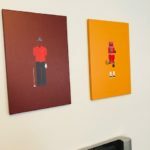 To compliment this canvas we found 2 other smaller canvases from a “Sports Legend Series”- one of Michael Jordan and one of Tiger Woods - which are pretty unique and hung them on an opposite wall. 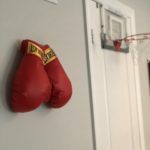 Next we decided to it would be cool to display some sports balls on the walls, and we had found some holders from Potterbarn Teen to fit basketballs and baseballs BUT they ranged in price from $19.50 - $29.50USD each, plus a crazy fee for shipping. This was definitely not in the budget, so we found some great alternatives on amazon.ca and ebay.ca for a fraction of the cost. 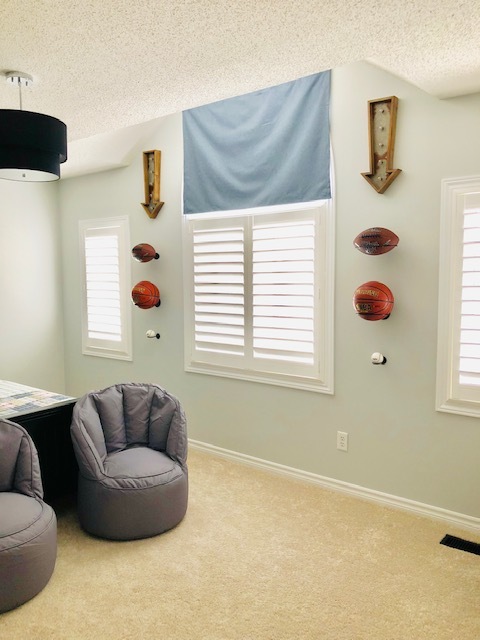 Seeing as how there were 3 windows on the one wall and we had the space, we did 2 sets of: footballs, basketballs and baseballs mounted on the walls in between the windows. Above each we hung a marquee arrow pointed down to the balls to finish off the look. Instead of hiding the boy’s hats in the closet, we found an awesome hat holder that can hold up to 36 hats and mounted it over the door. Turning hats into decor is pretty ingenious we think! 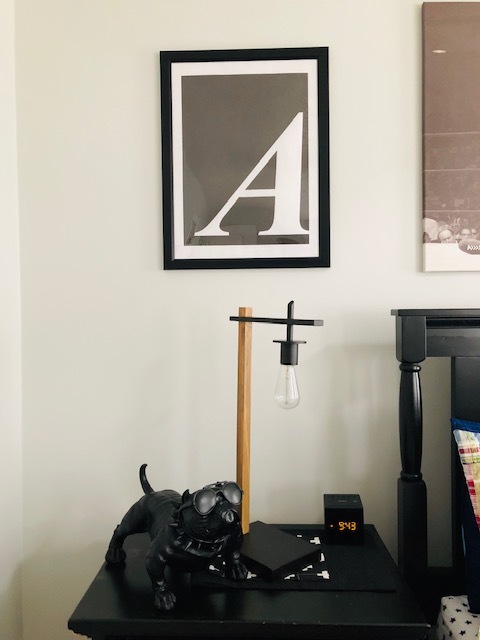 Then for the bedside table we found an industrial style bedside lamp and coupled it with some pieces that we already had in our staging arsenal. 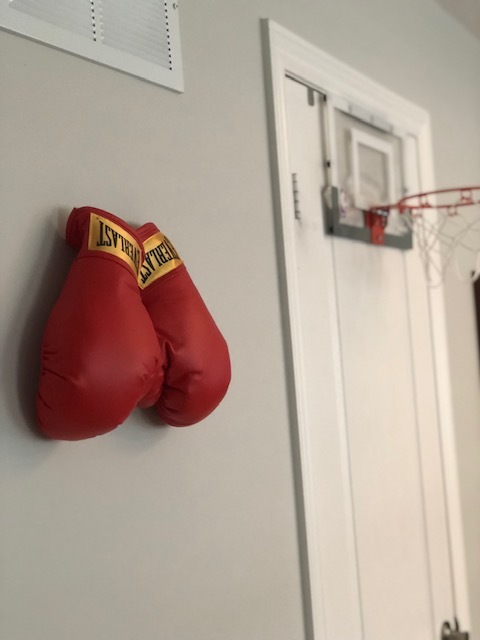 Still feeling like the room was lacking something we found some gently used boxing gloves on Kijiji that we hung on a smaller bare wall. We ended up keeping the bedding that was already on the bed, as it still worked with the space, but to complete the look in the room we changed out the old red bean bag chairs for 2 new grey ones that somewhat resemble baseball gloves. The end result was well received, and all in all we feel that this is a welcoming space that any teenage boy would love to call their own! 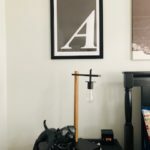 letter A picture - Google free letter image, Staples for the printing on architect paper $1.78 and the frame from Michael’s (using a 50% off one item coupon) for $18.